If jali cutwork lantern or the floral cutwork lantern does not reflect your rich taste, leaf cutwork lantern holder is made for you. 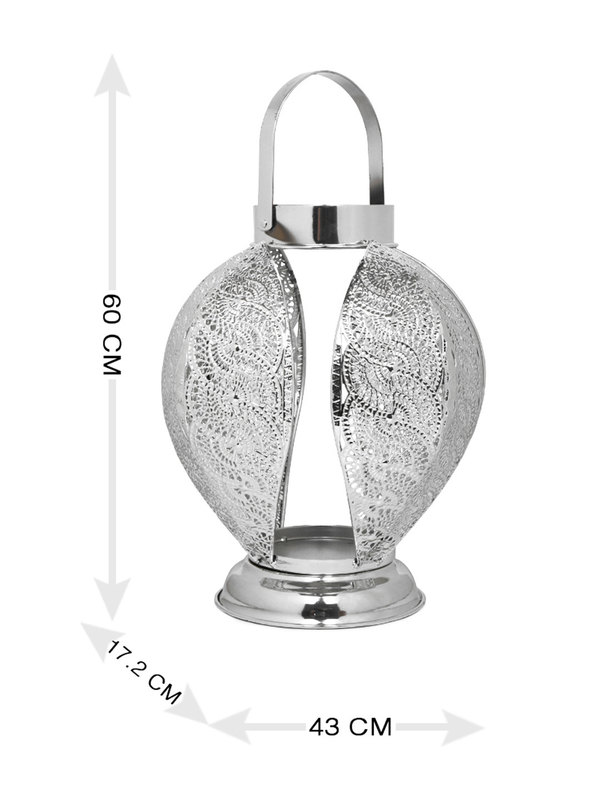 Just have a look at the leaf cutwork lantern holder, silver once and its mesmerising beauty will gaze you. There are four leaves in each leaf cutwork lantern holder, silver with an intricate sound design. All the leaves are of equal dimensions which raises its overall allure. It is a perfect gift to raise the eyebrows of your special ones and accumulate some hearty remarks. Do not let go of this mouth-watering buying offer from @Home.